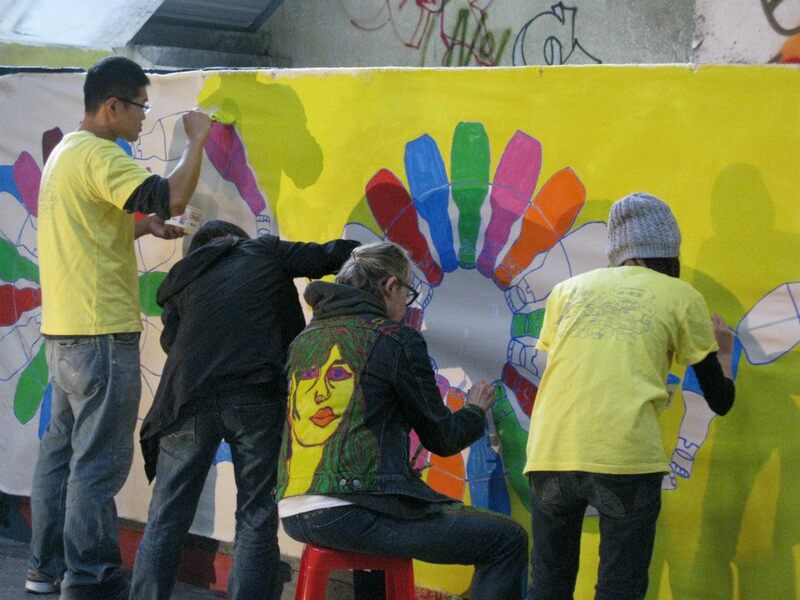 In my interactive public art pieces, the intention is to bring together people in a shared public space to celebrate the beauty of the natural and urban environments, and inspire visitors to experience a visual link between the old and the new. 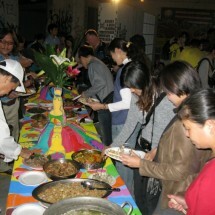 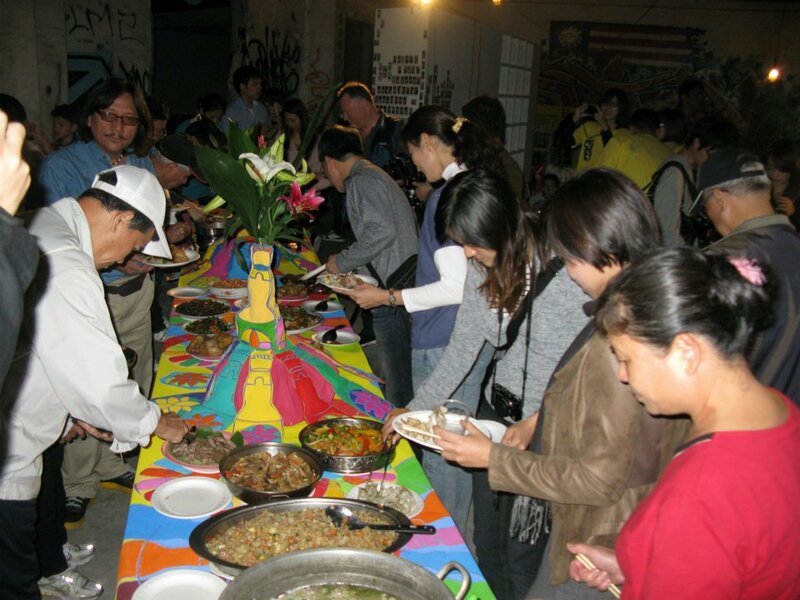 In Taipei, I brought in the novelty of a Potluck meal in a gallery setting at the abandoned Beer Cap Factory of Nan Gang. 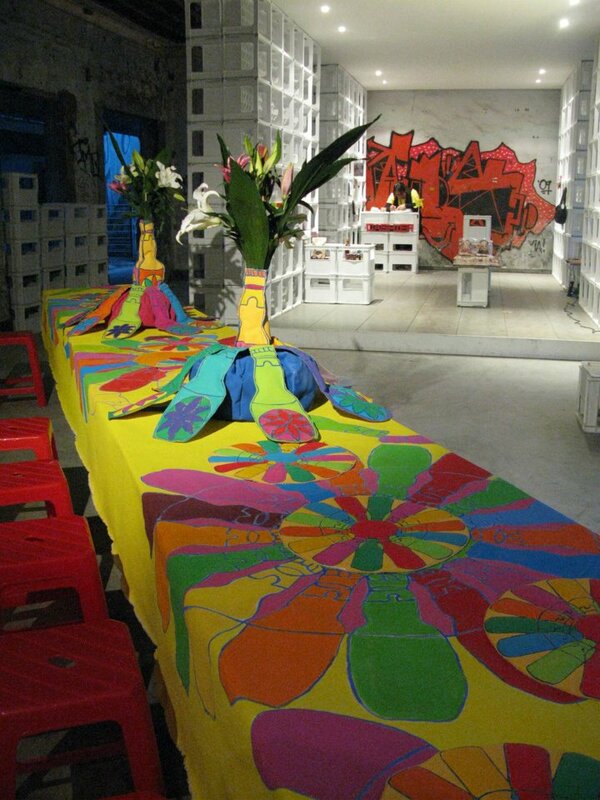 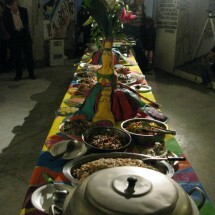 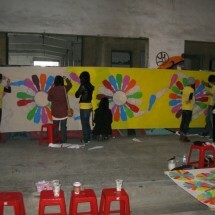 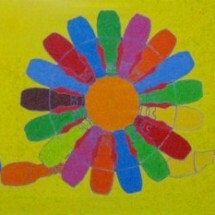 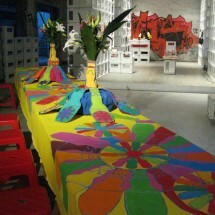 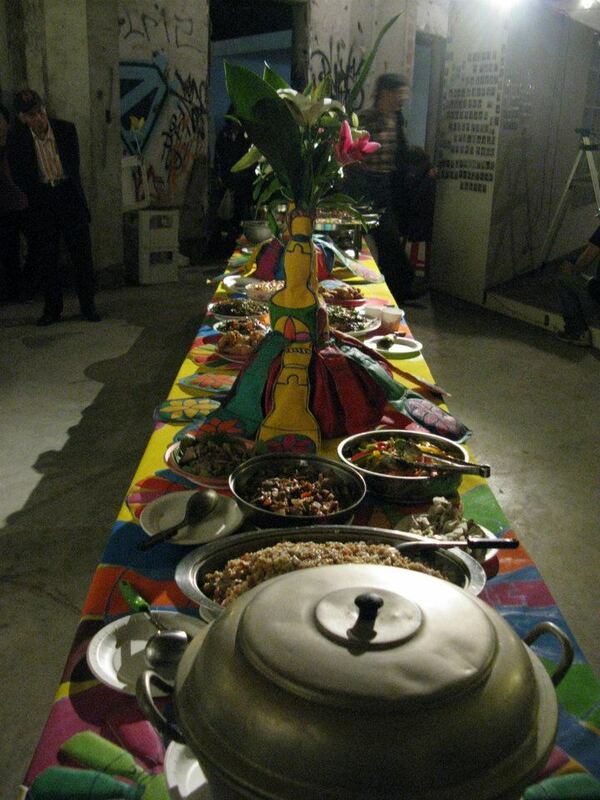 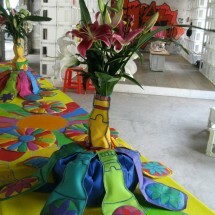 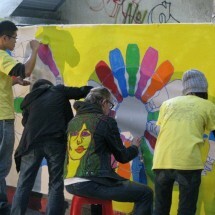 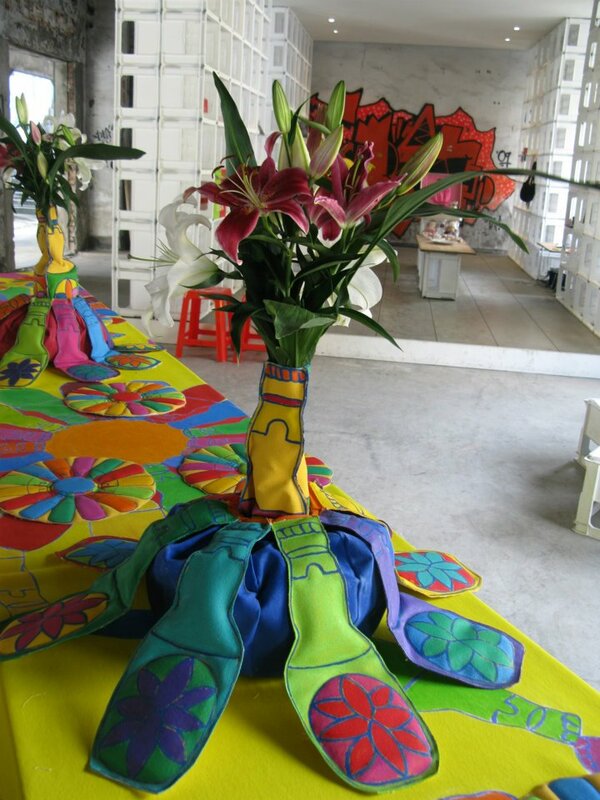 I created exciting table arrangements constructed from canvas with the participation of the community. 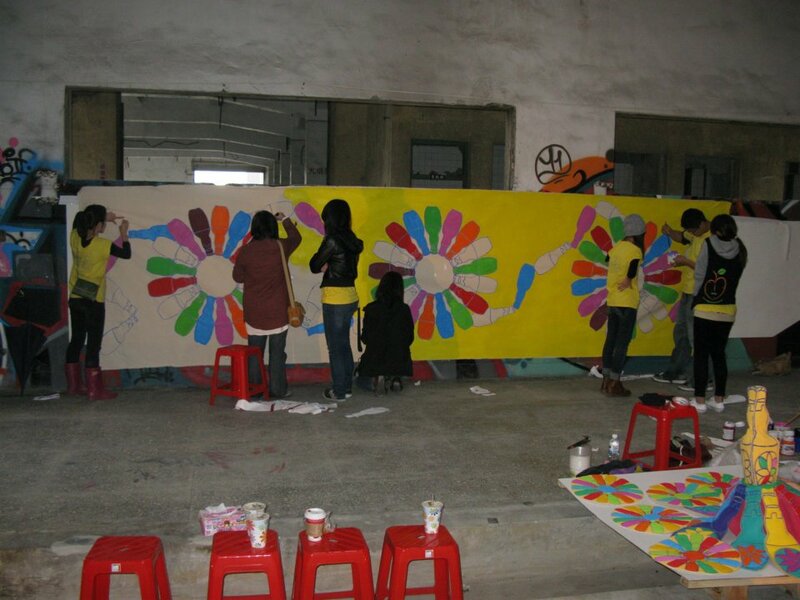 The dialogue among local people and artists helped building up the community and transforming a neglected environment into a green space.